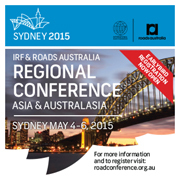 We are pleased to present the latest edition of the IRF Newsletter together with our best wishes for the Festivities. 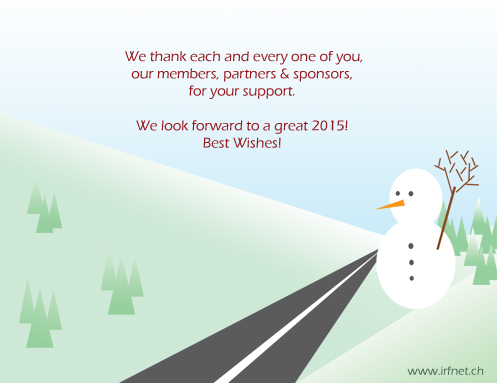 We look forward to meeting you soon again! 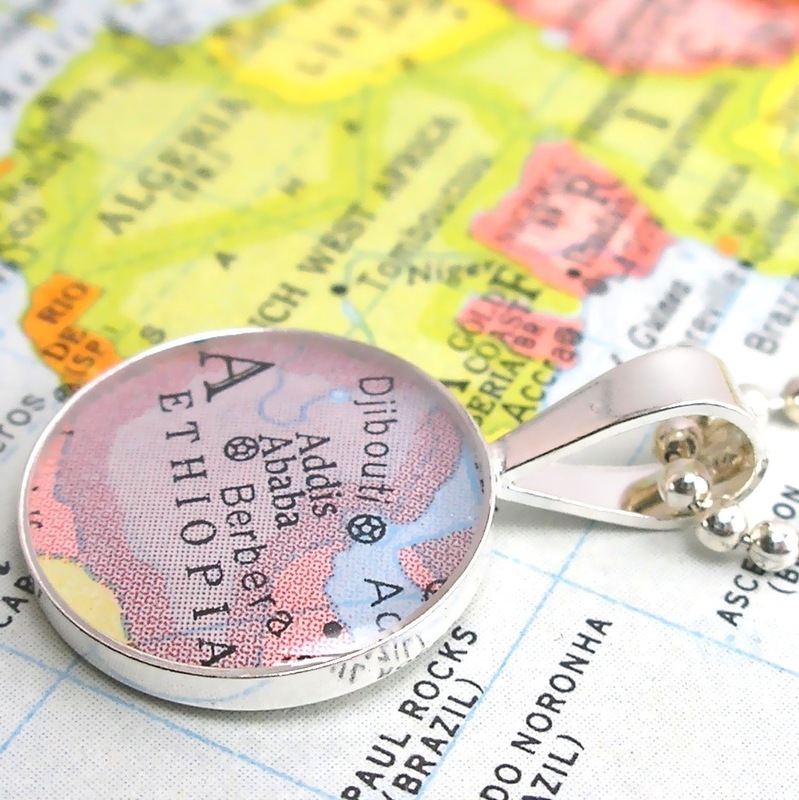 Organised in collaboration with the Ministry of Transport of Ethiopia and in the premises of the African Union, this international conference and Road Safety Challenge aims at encouraging concrete, measurable implementation of the Decade of Action Plan. Building the future today was the theme of the 2014 Michelin Challenge Bibendum which took place in Chengdu, China on 11-16 November 2014. 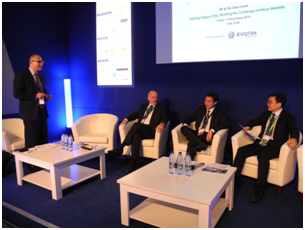 IRF was present with a side event “Building Happy Cities – Meeting the Challenge of Urban Mobility” organized jointly with the Fédération Internationale de l’Automobile (FIA). The IRF ITS Policy Committee is committed to enhancing policy frameworks that support and accommodate a swift rollout of ITS solutions. The Policy Committee is currently looking into indicators to measure and compare these enabling policy frameworks. 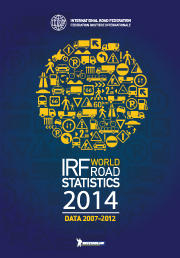 The IRF webinar scheduled on 18 December 2014 will look into what options and models are available to do so. Negotiations just concluded at COP 20 in Lima represent an important step on the "Road to Paris" (COP 21), where a new global climate agreement will be negotiated. IRF Geneva reiterates its commitment towards making sustainable transport a reality by releasing three new Case Studies providing tangible, pragmatic solutions. It’s our contribution to the global effort aiming at tracking the sustainability of the transport sector. 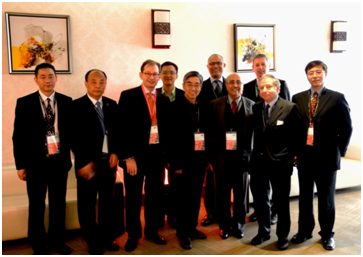 The IRF Geneva Board of Directors met in Chengdu, China in the margins of the Michelin Challenge Bibendum. The meeting was an occasion to tighten up relations with IRF Chinese members and to welcome the President of FIA for an exchange of views on action needed to boost international effort on Road Safety. 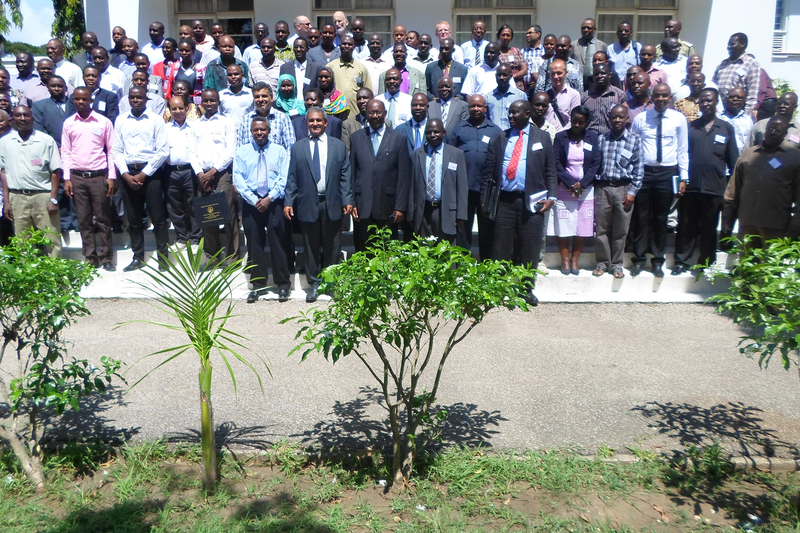 More than 150 professionals attended this year the Tanzania Annual Road Convention. 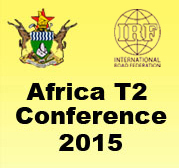 Supported by IRF Geneva since years, the event has now become a must attend event in Tanzania and in the entire region. 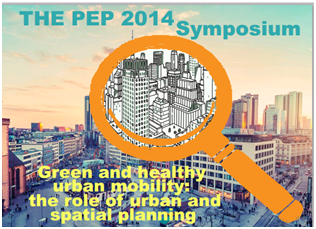 Hosted by the WHO in Geneva, the 2014 Symposium of the Pan-European Programme on Transport, Health and Environment (THE PEP) focused on urban mobility. 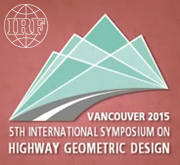 IRF was present and shared the conclusions of the debate held in Chengdu, China. 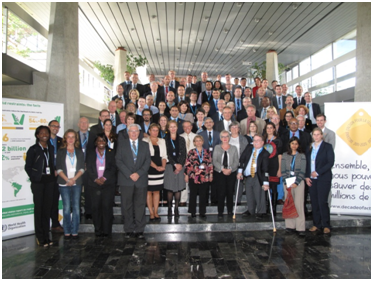 The Road Safety community met in Geneva in October for the autumn meeting of the UNRSC. IRF - represented by Susanna Zammataro - introduced the concept of the IRF Road Safety Challenge during the plenary meeting.